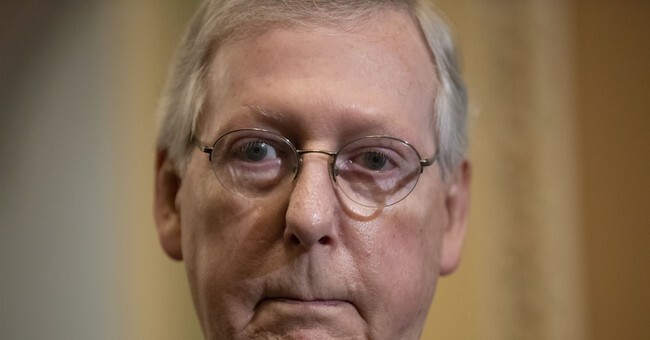 The charges come after Senate Majority Leader Mitch McConnell's home addresses in Kentucky and Washington, D.C. were added to his public Wikipedia page. Last week, Sens. Lindsey Graham (R-SC), Orrin Hatch (R-UT) and Mike Lee (R-UT) had their home addresses, home phone numbers, cell phone numbers and email addresses added to their public Wikipedia pages. The postings came as the Senate Judiciary Committee questioned Kavanaugh over Dr. Christine Blasey Ford's sexual assault allegations. All three Republican appear to believe Kavanaugh to be innocent. The IP address was connected to the Capitol, Roll Call reported.